Just What Is a Co-worker? THE GREAT WAR is over. Four brutal, bloody years of conflict leave Europe devastated. The armistice is signed on November II, 1918. Voices around the world proclaim this was "the war to end all wars." It is a joyous day for the victors. But for the vanquished, it is a dark and painful time. The victorious Allied nations dictate a peace treaty they will live to regret. On June 28, 1919, the Treaty of Versailles is signed in the Hall of Mirrors at Versailles Palace, near Paris. Germany is formally given all blame for the war. She is stripped of all her overseas colonies, demilitarized, and strapped with near impossible reparations payments. The harsh terms of surrender imposed on defeated Germany will prove to be the seeds of a greater, more horrible war to come. In Italy, a troubled postwar period has begun. Despite her membership in the Triple Alliance, Italy had declared her neutrality on the outbreak of World War I. In the spring of 1915, Italy joined the Allies and declared war on Germany and Austria. Victory in 1918 fueled Italian hopes for territorial rewards. But Italy's expectations are bitterly disappointed. Though a victor, the country gains little from the Treaty of Versailles. Italians complain that they have been robbed of their rightful share of the spoils. A sense of injury and frustration grips the country. Among the discontented is Benito Mussolini. Son of a poor blacksmith, Mussolini was born in 1883 in the north Italian town of Predappio. An aggressive. and ambitious child, he once declared to his startled mother, "One day I shall make the whole earth tremble!" Formerly a journalist and schoolmaster, Mussolini fought as a corporal in World War I. He was seriously wounded in February 1917. After the war, Mussolini launches a movement that becomes, in 1921, the Fascist party. Musso1ini is if Duce — "the leader" — of the ultranationalist, anti-Communist organization. His followers are mostly jobless, disgruntled war veterans. They adopt the black shirt as their uniform. The Fascists derive their name from the fasces of Imperial Rome — an ax wrapped in a bundle of rods symbolizing unity and power. The fasces was carried by Roman consuls as the sign of their authority. Italy is plagued by increasing disorder. Unemployment, strikes, riots and general unrest tear at the fabric of society. The government is unable to establish order. Italians look for a way out. Mussolini — now a member of the Italian parliament — seizes the opportunity. A gifted orator, he catches the imagination of the crowds. Posing as a defender of law and order, he capitalizes on the fears of middleclass Italians. Late in October 1922, the black-shirted Fascist militia makes its dramatic march on the city of Rome. King Victor Emmanuel III permits them to enter the city on October 28. The government is brought down. On October 29 the king calls on Mussolini to form a new government. II Duce makes his entry into Rome on the 30th. The next day he becomes the youngest prime minister in Italian history at age 39. Mussolini's play for power has succeeded. Tired of strikes and riots, the Italian people give him complete support. Mussolini IS handed full emergency powers. Fascism has come to power in Italy. By degrees, Mussolini tightens his grip on the country and transforms his government into a dictatorship. Meanwhile, in defeated Germany, a democratic government has replaced the old Empire. It is referred to as the Weimar Republic, because the assembly that adopted its constitution in 1919 had met at the city of Weimar. Many Germans cannot accept their country's defeat. The war leaves them humiliated and disoriented. The Weimar Republic is plagued from the start by a host of political, economic and social problems. Germans quickly discover that it is easier to write a democratic constitution than to make it work. The constitution ensures the representation of small minority parties in parliament. Innumerable separate parties are formed. As a result, government majorities can be formed only by coalition — temporary alliances of parties. The fragile governments thus formed are victims of continual disunity and bickering among "partners." Small parties often hold the balance of power, stalling and blocking legislation. In 1921, the son of an obscure Austrian customs official becomes president of one of Germany's many small parties — the National Socialist German Workers' Party (NSDAP). He is a frustrated artist named Adolf Hitler. As a corporal, Hitler was awarded the coveted Iron Cross for personal bravery in World War I. Now he gathers a small following of fellow veterans bent on overturning the humiliating Treaty of Versailles arid restoring Germany's honor. He is strongly influenced by the career and philosophy of Benito Mussolini. Hitler is impatient. He plots to seize power in a coup. In November 1923, he stages the Beer Hall Putsch at Munich, an attempt that fails to overthrow the Bavarian government. He is arrested and imprisoned for nine months at Landsberg, where he authors an ignored volume titled Mein Kampf ("My Struggle"). It will later become the bible of the Nazi movement. Back in Italy, Mussolini is endeavoring to make Rome again the center of Western civilization. II Duce, admires Julius Caesar above all men. He perceives himself a modern-day Caesar, a builder of empires, a figure of destiny. He shaves his head to make himself look more like a Caesar. Mussolini has an intense sense of historical mission. He is fascinated by the history of Rome. He dreams of a modern Roman Empire, of repeating the great days of ancient Rome. The handshake is abolished and the old Roman salute with raised arm becomes the official greeting. Mussolini's theatrical, gladiatorial pose becomes known worldwide. The strutting Duce is overwhelmed by his dreams of Roman grandeur. After Mussolini survives an assassination attempt, the secretary of the Fascist party announces to cheering crowds: "God has put his finger on the Duce! He is Italy's greatest son, the rightful heir of Caesar!" Following the example of ancient Rome, some of Mussolini's Fascist supporters even call him "divine Caesar." Ancient images fill Mussolini's mind — and urge him relentlessly on toward his "destiny." Italians are overwhelmingly Catholic. Mussolini realizes that some effort must be made toward settling the long-standing "Roman Question." 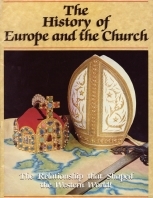 Since 1870, the Popes have been in self-imposed exile in protest against the usurpation of Papal territory by the forces of King Victor Emmanuel II. The impasse between Italy and the Vatican persists. II Duce knows enough history to realize he could not emerge unscathed from a head-on confrontation with the Papacy. He sees advantages to be gained in an alliance with the Church. Mussolini wants to be able to say that his is the first Italian government in modern history to be officially recognized by the Pope. Accordingly, II Duce seeks to create the impression that he is a devout Catholic, though since boyhood he has not been a churchgoer. Privately he scorns the rites and dogmas of the Church. An avowed atheist in his youth, he had once written a pamphlet titled God Does Not Exist! For its part, the Vatican is at first sympathetic toward fascism. Though Pope Pius XI (1922-1939) is critical of fascism's use of violence, he considers Mussolini as preferable to all alternatives. Secret negotiations now prepare the way for a dramatic reconciliation. The Lateran Treaty gives the Pope full sovereignty and temporal power over the 110-acre Vatican City, now the newest and smallest sovereign country in the world. Diplomatic relations between the newly created state and the kingdom of Italy are established. A separate financial agreement compensates the Vatican for its surrender of claims to the old Papal States. A concordat defines the position of the Church in the Fascist state. It establishes Catholicism as the official religion of Italy. Many hail the reconciliation as one of the most significant events in the modern history of the Church. Even Mussolini considers it one of the greatest diplomatic triumphs of his career. He derives immense personal prestige worldwide. But the agreements by no means end the friction between the Church and the Italian government. In 1931, Pius XI will express his strong disapproval of Fascist methods in his encyclical Non abbiamo bisogno. Meanwhile, the situation is deteriorating rapidly in the world economic arena. With the collapse of the New York stock market late in October 1929, the world enters a new period of economic and political turmoil. Germany is hit particularly hard. This is just what Hitler needs. The time for his final drive for power has arrived. Increasingly hard times fuel the fires of political pandemonium. Economic disasters trigger wide spread social chaos. By the end of 1931, more than six million Germans are unemployed; by 1933, more than eight million. Germany is heading toward national bankruptcy. Tensions move toward the breaking point. The ongoing disunity of the political parties makes a drastic solution of the crisis inevitable. Germans seek a strong deliverer. A born political orator, Hitler uses the economic crisis as a stepping-stone to power. He gives Germans new hope. He promises them stability, power, Lebensraum. The confused multitude of German parties are unable to unite against him. The National Socialist (Nazi) movement gains supporters. In the 1932 elections, Nazis nearly double their popular vote, winning 230 seats in the Reichstag (37 percent of the total number). They are the largest party in parliament. Hitler has proved himself unequaled in his ability to exploit events to his own ends. On January 30, 1933, Hitler is asked to form a government. After years of careful planning, he has at last become Chancellor. The Weimar Republic is finished. A modern-day interregnum — a "time without an emperor" — it has lasted but 14 years. The Third Reich has begun. Hitler's emergence as Chancellor is hailed enthusiastically by the Italian press. Mussolini naively views Hitler as his Fascist protégé, someone he can control and utilize for his own purposes. Hitler asks the Reichstag to pass an enabling bill, giving his government full dictatorial powers for four years. The parliament passes the sweeping legislation, and the Nazis assume complete control of Germany. In 1934, the offices of Chancellor and President are merged. Hitler assumes the title of Fuehrer und Reichskanzler. In short order, the German dictator reinvigorates a demoralized country. He strengthens the shattered economy, reduces unemployment and raises the standard of living. But Hitler's aims far transcend his own country's borders. He is convinced he has a great mission to perform. He feels destined to become ruler of a great Germanic Empire. He holds an unshakable conviction that the Reich will one day rule all of Europe — and from there will seize the leadership of the world! A new order will emerge in the world, with the German "master race" at its head! Hitler compares himself with Charlemagne, Frederick the Great and Napoleon. From his mountain fortress in Obersalzberg, overlooking Berchtesgaden, the Fuehrer has a panoramic view of the Untersberg. It is in this mountain, as legend has it, that Charlemagne still sleeps, and will one day arise to restore the past glory of the German Empire. "You see the Untersberg over there," Hitler tells visitors in a mystical tone. "It is no accident that I have my residence opposite it." Like Mussolini, Hitler — a Catholic by birth — sees a need to come to terms with the Vatican. On July 20, 1933, the Vatican signs a concordat with the Nazi regime, protecting the rights of the Church under the Third Reich. Pope Pius XI hopes that Hitler will discourage the extreme anti-Christian radicalism of National Socialism. For Hitler, the concordat gives his new government an outward semblance of legitimacy. But relations between Berlin and the Vatican are strained. Pope Pius has no illusions about Naziism. He authors several protests against Nazi practices. On March 14, 1937, Pius issues his encyclical Mit brennender Sorge ("With Burning Anxiety") against Naziism. It charges that the German state has violated the 1933 concordat, and vigorously denounces the Nazi conception of life as utterly anti-Christian. About the same time, Piusan outspoken adversary of communism — issues another encyclical, Divine Redemptoris, denouncing the Bolshevik campaign against religion. It pronounces the political philosophy and the atheistic ideology behind Marxist doctrine as contrary to the Divine Will and intrinsically evil. In Italy, Mussolini has been vigorously pursuing his vainglorious dream of a modern Roman Empire. In 1896, Italy had suffered a humiliating defeat in Ethiopia (Abyssinia) at the hands of King Menelik II. Italian forces were crushed by an Ethiopian army at the Battle of Adowa. Ten thousand Italians lay dead. The defeat was disastrous to Italian expansion in Africa. The humiliation has not been forgotten. The memory of Adowa still lives. The score must be settled. Mussolini, the modern Caesar, casts eyes toward Ethiopia. He sees its conquest as a means of restoring Roman grandeur. On October 3, 1935, the Italian dictator launches his first foreign military adventure. He invades the kingdom of Ethiopia as the League of Nations weakly stands by. After months of fighting, Adowa is avenged. II Duce's African venture is a success — a "Roman triumph." The armies of Emperor Haile Selassie are defeated. On May 9, 1936, Italy formally annexes Ethiopia. King Victor Emmanuel is proclaimed Emperor of Ethiopia. A month later, a decree incorporates Ethiopia with the existing Italian colonies of Eritrea and Italian Somaliland into a single great colony, Italian East Africa. Mussolini now proclaims another resurrection of the Roman Empire. "At last Italy has her empire," II Duce declares to an enormous crowd from the balcony of the Palazzo Venezia. "Legionnaires!" he continues. "In this supreme certitude raise high your insignia, your weapons, and your hearts to salute, after fifteen centuries, the reappearance of the empire on the fated hills of Rome." Though a great success at home, Mussolini's Ethiopian adventure isolates Italy from the Western democracies. As a result, Mussolini turns to Hitler as an ally. In October 1936, the "Berlin-Rome Axis" is formed. Hitler and II Duce forge an agreement to coordinate their foreign policies. As in the days of Otto the Great, Germany ties its destiny to Italy! In the same year, the two dictators enter the Spanish Civil War on the side of General Francisco Franco's Nationalist forces. There they test new weapons in preparation for a much greater conflict to come. While the fight is going on In Ethiopia, events are happening in quick 'succession in Germany. In a daring move, Hitler orders German troops to march into the demilitarized zone of the Rhineland, established by the Treaty of Versailles. It is March 7,1936. The French fail to call Hitler's bluff. A year earlier, Hitler had unilaterally abrogated the disarmament clauses of the Versailles treaty and had begun to rearm openly. In March 1938, Germany occupies Austria, which is quickly incorporated into the Greater German Reich. In September, Hitler demands and receives the cession of the Sudeten land area of Czechoslovakia ("my last territorial claim in Europe," he says). Prime Minister Neville Chamberlain of Britain yields to Hitler's demands, hoping against hope that concessions to the dictator will promote "peace in our time." On May 22, 1939, ties between Hitler and Mussolini become even closer as the two form a 10-year political and military alliance — the Pact of Steel. The Italian press proclaims, "The two strongest powers of Europe have now bound themselves to each other for peace and war." In August 1939, Germany and Soviet Russia sign a nonaggression pact, guaranteeing Soviet nonintervention in Hitler's ventures in the West. Hitler's eastern flank is now secure. The stage is set. A catastrophe is about to engulf the world! In a final last-minute appeal to head off the outbreak of world conflict, the new Pope, Pius XII, declares on August 24, "Everything can be lost by war; nothing is lost by peace." But Hitler's plan is set. Casting aside all pretenses of peaceful aspirations, the German dictator accuses and attacks Poland on September 1. The peace of Europe is broken. World War II has begun — a struggle for the mastery of the world! Pope Pius XI died in March 1939. His successor as war breaks out in Europe is Eugenio Pacelli, now Pius XII. Few Popes will be the subject of as much controversy as he. In 1917, Pacelli had been sent as Papal nuncio (ambassador) to Munich to negotiate a concordat with the Bavarian Court. This accomplished, he was next sent to Berlin in 1925 with the same aim. After concluding the concordat with the WeimaI: Republic, Pacelli was recalled to Rome in 1929 and created a cardinal and Vatican secretary of state. As Cardinal Pacelli, he drew up and signed the concordat with Hitler's Nazi Germany on behalf of Pius XI in the summer of 1933. Pacelli's years in Germany gave him a fluency in the German language and a great love for the German people. In view of this, his proclaimed neutrality as wartime Pontiff will be questioned. After the war he will be accused of failing to denounce Hitler and neglecting to speak out publicly against Hitler's "final solution" to the "Jewish problem." Some critics will declare that by remaining silent he became an accomplice to genocide. Pledged to neutrality, Pius believes the Holy See can play a peacemaking role if it maintains formal relations with all the belligerents. Yet he is keenly concerned about the Jews. Pius faces a terrible choice. He knows the capabilities of Naziism, having been closely associated with the anti-Nazi encyclical Mit brennender Sorge. In September 1943, Germans occupy Rome. The dilemma of Pius XII becomes even more acute. Nazi troops are now camped on his very doorstep. Public condemnation of Hitler could lead to reprisals, even invite a Nazi invasion of the Vatican. That would jeopardize the Holy See's diplomatic efforts on behalf of the Jews and end any influence the Papacy might have in favor of peace. Pius issues repeated private protests against Nazi atrocities and is even involved in efforts to shelter Jews and political refugees. But he stops short of public denunciation. Faced with circumstances in which his public statements might further rouse Hitler and his associates against the Jews and expose German Catholics to charges of treason, he takes the side of caution. In retrospect, sympathetic observers will assert that, under the circumstances, Pius did all he could against a powerful totalitarian government. Public denunciation would not have stopped the Nazi leadership anyway. At the outset of war, Germany seems almost invincible. Hitler subjects a whole continent, directly or indirectly, to his power. Not since the days when the Roman Empire was at its height has one man ruled such vast expanses in Europe. But Hitler's is an ephemeral empire. In 1941, the German dictator makes Napoleon's disastrous mistake of invading Russia. Operation Barbarossa is a fatal blunder. The tide of war begins to turn. In the end, the Fuehrer and the Duce die within days of each other, their dreams of conquest and empire shattered. Mussolini is executed by Italian partisans on April 28, 1945. His megalomaniac attempt to restore the Roman Empire ends in ruin. Hitler, it is declared, has committed suicide in his Berlin bunker on April 30, as his "Thousand-year Reich" crashes around him. Italy is devastated. Germany lies in ruins. Some observers declare Germany will never rise again. Others say it will take at least 50, maybe even 100 years or more. Privately, some Germans are thinking that no defeat is final. As the victors and vanquished alike pick up the pieces of their shattered and now — divided continent, a centuries-old concept again takes its rise in the minds of Europeans — the ideal of a United States of Europe. Europe slowly sets out on the path toward its final — and most crucial — revival.